'Joyeuse'. Fawn day dress with touches of blue and white striped silk and black velvet on the jacket bodice. 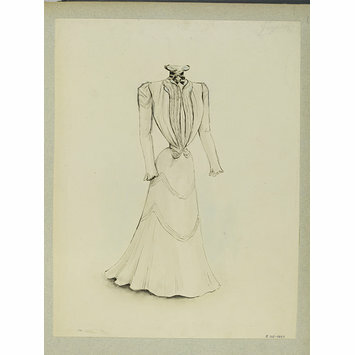 One of a group of 53 fashion designs bound in a volume of Paquin designs for town wear for Summer 1897. Most in pen and ink with touches of watercolour, some with names, details, and fabric swatches attached. Jeanne Paquin, Été 1898. 'Joyeuse'. Fawn day dress with touches of blue and white striped silk and black velvet on the jacket bodice. 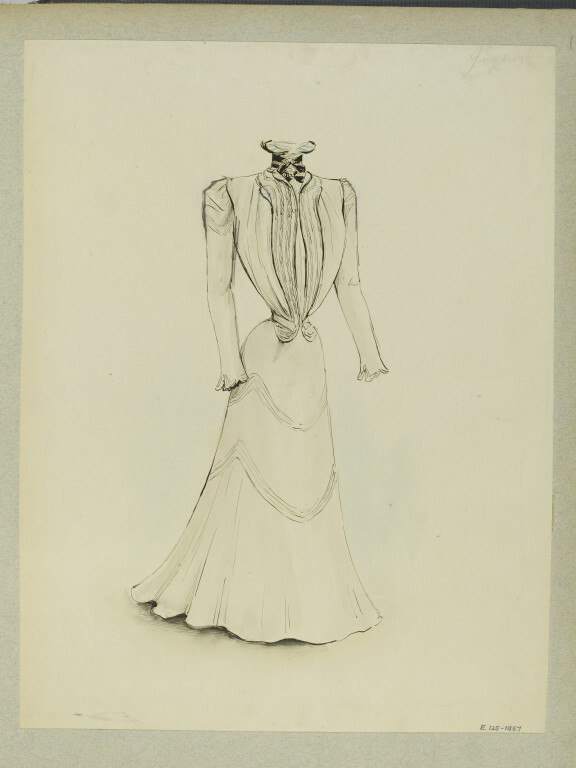 Design for a town dress.